The just finalized Sound of Vision project was presented within several of the official means of communication of the European Commission. The project’s main idea, together with a brief description of the advanced prototype and project device prototyping are detailed within this article, published within the CORDIS magazine. The landscape of sensory substitution devices for the blind and visually impaired is examined in more detail within this article from the Horizon Research & Innovation Magazine. 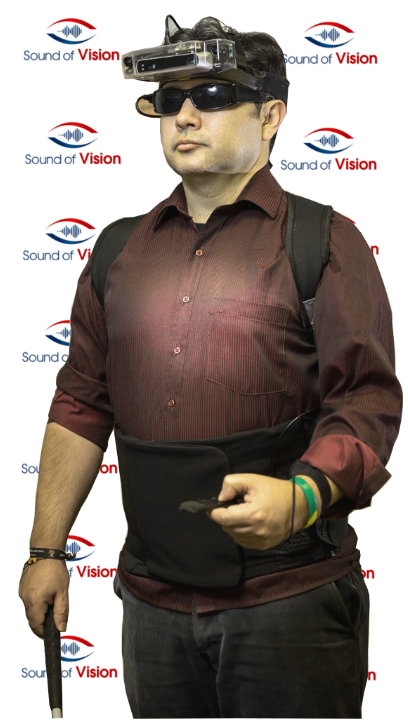 It presents several efforts of replacing visual information with sound, including the Sound of Vision project. In the case of our project, the article focuses on the haptic belt, which is used to provide additional information that complements the audio feedback.